There are plenty of Android car systems for sale with DVR and/or GPS navigation capabilities on the net, but sometimes they lack some features, or come in a 2 DIN form factor, which is nice if you know how to disable your car dashboard, but it might be a little complicated if you don’t. An alternative is to get an Android rear view mirror, but obviously the display is much smaller, and it reduces the usable space on the rear view mirror to see what’s going on behind. 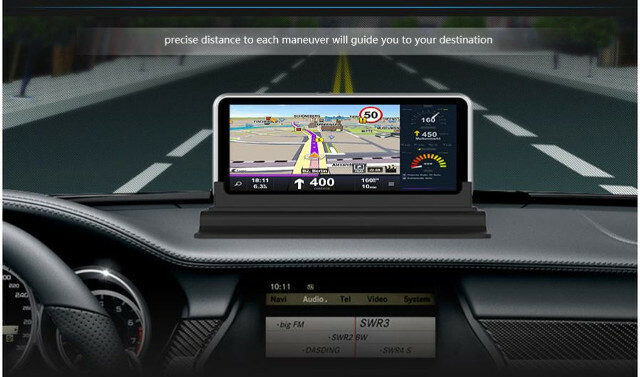 However, this morning I’ve come across Junsun H552C Android 4.4 system with a 7″ display, rear and front cameras, and GPS navigation system that might be easier to install since it sits on top of the dashboard, and is selling for $118.54 on Dealextreme. Maps appear limited to North America, but descriptions on DX are often incorrect, and since the system is running Android 4.4, you should be able to install your own GPS navigation app. 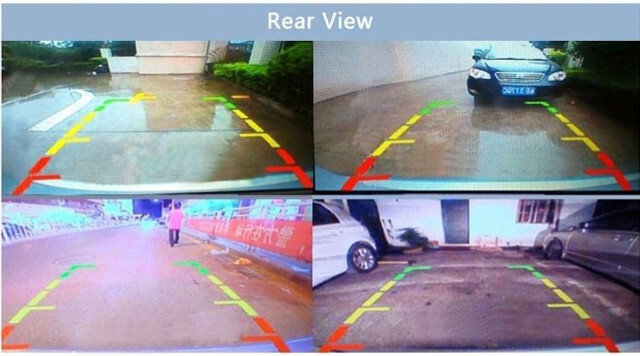 The kit include the 7″ “car dvr system”, a power cable, the rear camera and cable to use while you drive in reverse gear / park your car, a USB data cable, a bracket for the dashboard, and a suction cup bracket in case you prefer to hook the system to your windshield, and a user’s manual. Any front camera samples for car dvr purposes? There other options for Maps/Navigation, with android you aren’t “hostage” from manufacture upgrade..
I’m using waze on my android headunit (sharing net from my mobile). How can i download map for Cambodia? Try to ask the seller. I don’t think the maps can be easily downloaded online, but he/she may have a link to Cambodia map.